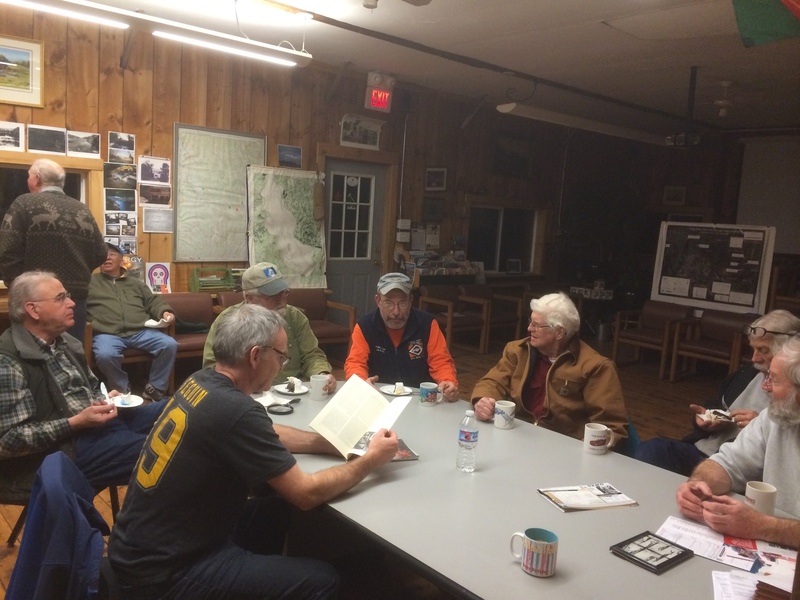 Lest one think, with the Duxbury Duck restoration behind us, the Wednesday night volunteer crew is resting on their laurels, well, take a look at the photo above of a recent evening at the Landing. This boat will either be sold or used as a reward for donation as part of our crowd sourcing plans. More on that to come in a later post. The boat on the left is none other than a Beetle Cat. The builder’s plate said it is hull number 998. According to the company records that means the boat was built in either 1962-or ’63. When we received the boat it had been reframed in the cockpit area and the original deck planking was refastened. 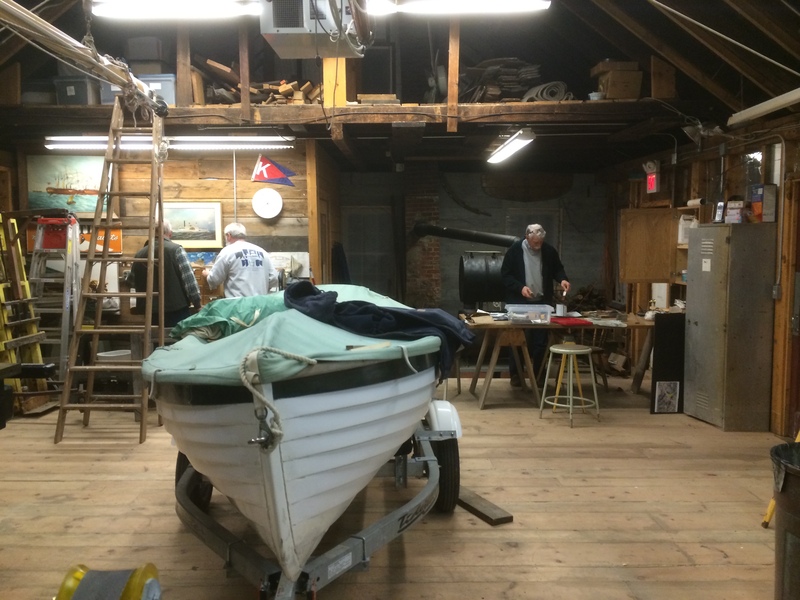 Our hope is to refurbish the boat, (a less daunting word than restore, I think) and then sell it for some much needed funds for other projects. As I type this on Friday afternoon Roy is working on removing the decking which has reveled deck beams split lengthwise all along the fastening line. Okay, add new deck beams to the list. I am still saying we are refurbishing. This boat is a Catspaw Dingy, also donated to to the Landing. 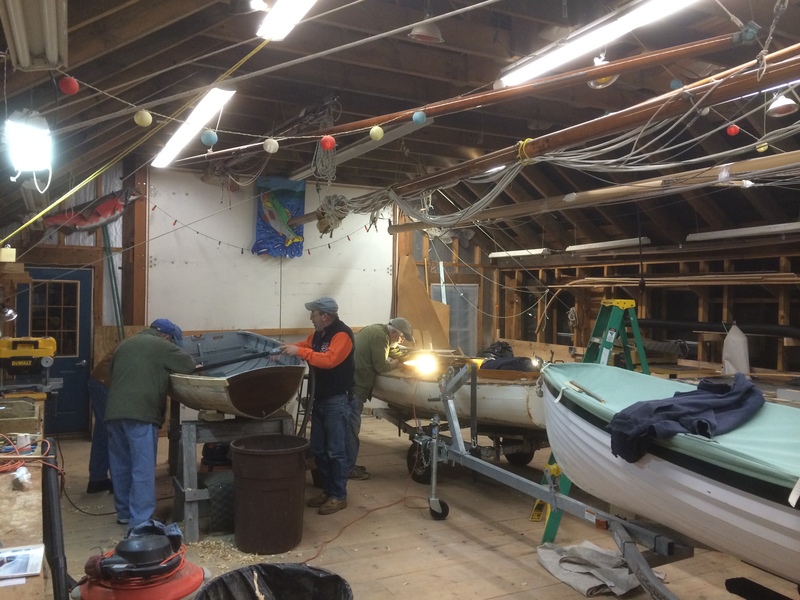 It is in the shop for a some minor, (not even rising to the level of refurbishing) cosmetic work after which the boat will be ready for the water. It will live here at the Landing – its ultimate purpose still undecided but it does class up the place with its good looks and charm. Of course, one of the rituals of Wednesday nights that all of our volunteers insist we maintain is the coffee break. Some of our participants readily admit they primarily come for this part of the evening. We have had poetry readings, guitar and banjo performances and of course many stories, some even repeatable in public. Stop by some Wednesday night, 7-9 PM for a social night of boats, banter and bad jokes.